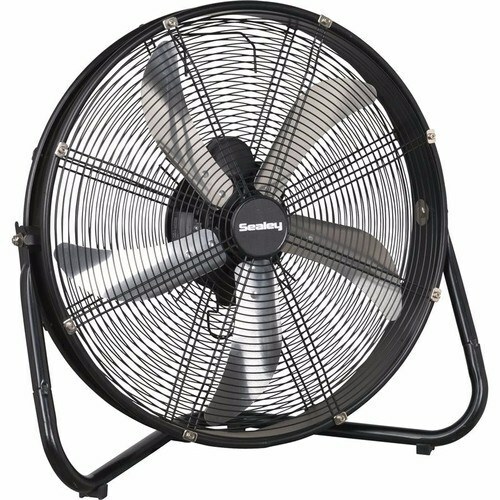 Ideal for industrial, commercial, agricultural, workshop, and showroom applications the Sealey HVF20 Industrial High-Velocity Floor Fan is perfect for cycling large volumes of air in your workspace. With three speed settings and a tilting blade cradle, it can be adjusted to whatever custom setting and direction the user requires. the fan blades are guarded with a large diameter mesh guard for safety. Has a High-velocity fan suitable for supplying huge volumes of air. Ergonomic frame provides great stability. Comes with Mains cable storage. Maximum airflow: up to 110mtr³/min. Speed settings: 1100rpm | 1225rpm | 1350rpm. Could I use this fan in the home and how long is delivery? Thank you, Kind regards, Patrick.